The development of poorly soluble or permeable pharmaceutical therapies (Biopharmaceutics Classification System II-IV) has become increasingly common in the pharmaceutical industry. 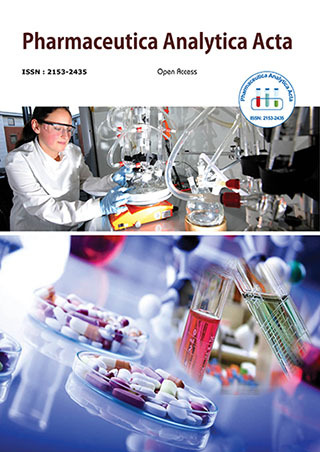 As such, there exists an increasing need for a wide variety of oral vehicle formulations that can enhance exposure of highly insoluble new molecular entities (NCEs) during nonclinical safety and toxicokinetic studies. The selection of an appropriate formulation can present a significant challenge for the nonclinical toxicologist. An ideal nonclinical formulation maintains stability, homogeneity, and dosability within the dose ranges to be tested in nonclinical studies. In addition, it is capable of producing sufficient exposure in the test system to assess toxicities, while also being well-tolerated and not affecting critical biomarkers of toxicity. While the selection and qualification of clinical vehicles/excipients is aided by specific regulatory guidances , the selection of preclinical vehicles is left up to individual sponsors. Rapid selection of a formulation capable of producing adequate exposure for IND-enabling preclinical studies is critical to maintain tight program timelines. It is therefore prudent for the nonclinical toxicologist to possess a diverse �toolbelt� of oral formulations which may be employed to solve molecule-specific exposure concerns. A review of preclinical formulations used for oral drugs successfully registered in the United State in the last 10 years reveals a variety of common formulation options which may serve as a useful starting point for oral formulation identification. This presentation will summarize current industry practice and outline the key issues to consider when selecting a formulation for preclinical safety studies. Dr. Thackaberry received his Ph.D. in Environmental and Molecular Toxicology from the University of Wisconsin-Madison. Following postdoctoral studies at the University of New Mexico and Lovelace Respiratory Research Institute, Dr. Thackaberry began working as a toxicologist at the Schering- Plough Research Institute in 2005. Currently, he is with Genentech, Inc., where he is responsible for the safety assessment of novel small molecule and protein therapeutics as they advance the treatment of serious disease. Dr. Thackaberry is an expert in preclinical and clinical formulation toxicity assessment, and has been a diplomate of the American Board of Toxicology since 2006.